Removes the blue swirls / distortion effects when characters absorb a spell effect. No More Swirl Effects from Absorb removes the blue swirls / distortion effects when characters absorb a spell effect. 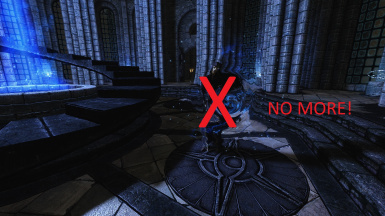 These changes are purely cosmetic and have been implemented without editing any Magic Effect, Spell, or Enchantment records for maximum compatibility. If troubles persist place as far down your load-order as possible. Most commonly these visuals are the result of cloak abilities / spells (often hidden from the UI). Cloaks are not inherently bad, they are super useful and some great mods depend on them (even one of my own mods). However if you noticed a specific mod triggering the absorb effect all the time the mod author should probably be made aware as it is unlikely they intended for their effects to be nullified via absorption.